In the fourth chapter of the Brihadaranyaka there is the following verse. 10. andham tamah pravisanti ye vidyam upasate tato bhuya iva te tamah ya u vidyayam ratah. It has been translated in the following manner by many scholars to suggest that those who pursue ignorance enter into darker hells and those purpose knowledge enter into even much darker worlds. Even I have translated it in the past in the same manner. 10. Into blinding darkness enter those who worship ignorance; into greater darkness enter those who, as it were, take delight in knowledge. However, close scrutiny reveals that there is no mention of avidya (ignorance) in this sloka. Both times the reference is to vidya (knowledge) only. it does not make sense that the pursuit of knowledge would lead to a darker world, unless that knowledge tend to make us more this worldly and desire-ridden. It also does not make sense that one should pursue both ignorance and knowledge as interpreted by many scholars. How can the pursuit of knowledge lead anyone to a darker world? The point here, I believe, is not about balance, but about right knowledge. It is my conviction that this sloka has been translated wrongly as well as interpreted wrongly by many scholars in the past. I believe its correct translation should be as follows. I0. Into blinding darkness enter those who worship the (mantra) vidyas. Into greater darkness enter those who take delight in the (brahma) vidyas. 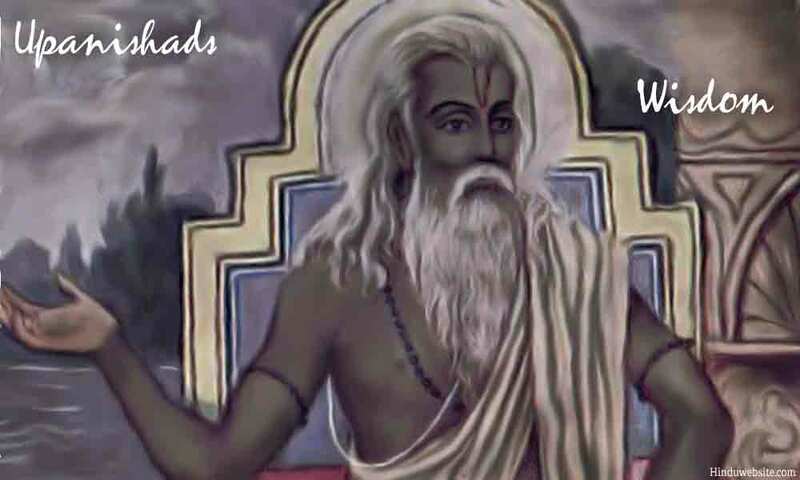 The Vidyas were an important aspect of the study of the Vedas in the ancient world. Literally speaking, vidya means a branch of Vedic study. The students had to master various Vidyas before they took leave from their teachers. There were Vidyas associated with rituals, called mantra vidyas. Each mantra vidya was meant to produce a specific result or ward off a specific evil. The Brahmanas specialized in them. Then there were several (over 40 or 50) brahma vidyas associated with the study of Brahman, which were meant to increase the students' knowledge of Brahman and gain an insight into the subject. I have dedicated an entire chapter to the subject of Brahma vidyas in my book Brahman. Both were pursued at the mental and intellectual level. Both were part of the occupational knowledge of a Brahmana. Such studies in the specific ritual and spiritual aspects of the Vedas do not lead to self-realization, because they are worldly pursuits meant to enhance one's knowledge and stature in society rather than spirituality. Worshipping gods ritually to fulfill desires and taking delight in the intellectual knowledge arising from the study of scriptures, both are detrimental to one's spiritual wellbeing. Hence the verse clearly emphasizes that one should not mistake these specific branches of Vedic study or the mantravidyas and Brahmavidyas as the true knowledge of Brahman. True knowledge of Brahman comes from knowing the Self. This is confirmed clearly in the same chapter of the Upanishad, two verses later.